Which of these two should we chose? Has Sri Lanka got a vision? More specifically do our leaders have a vision? Whether one agreed with it or not leaders like SWRD Bandaranaike, Dudley Senanayake, Sirimavo Bandaranaike, JR Jayewardene, R Premadasa and Mahinda Rajapaksa were leaders with a vision for the country. This is not to say they did not have their faults, and perhaps even misdeeds. SWRD Bandaranaike came to power at a time when Sri Lanka’s (then Ceylon) English literary rate was around 5%, and business in the Courts, in the Police and many other governments departments was conducted in English. Interpreter Mudliars were more powerful in a sense than judges or senior policemen, as they held the life of many a Sinhala and Tamil litigants in their hands. Much to the misunderstanding and misinterpretation associated with his so called “Sinhala Only in 24 hours” policy, his vision was to first, introduce a gradual process of replacing the English language as the working language in Courts, the Police and government departments with Sinhala, and admittedly belatedly, with Tamil in predominantly Tamil speaking areas, and secondly to introduce the mother tongue as the language of instruction in educational institutions over even a longer period of time. One can argue on the merits or otherwise of this policy, but SWRD’s vision was to give the country back to its people by promoting communication amongst its people in their own language and not in an alien language spoken and understood at the time by a handful of people. His vision of giving the country back to his people also included the nationalisation of key entities like the Ports, and transport service, both entirely in the hands of the private sector. It also included the vesting of our military bases, then in the hands of the British, with the people of the country. This article is not about a discussion on the merits or otherwise of his policy or that of other leaders who will be mentioned here, but an attempt to encourage a discussion on the need for our leaders to have a vision and to work towards it. 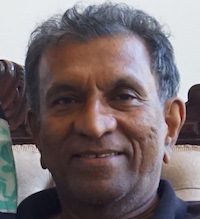 Dudley Senanayake’s vision was to make Sri Lanka self-sufficient in Rice and other basic foods, and he galvanised the country to work towards it. As a schoolboy, the writer remembers the part school children played and although it may not have amounted to much in increasing rice production, it certainly introduced children, more so the urban based ones to feel the soil of the country in paddy fields and develop an appreciation for the work of the farmer and the role played by them. Sirimavo Bandaranaike’s vision was to continue the path taken by her late husband in giving the country back to its people and to strengthen the Non Aligned movement and place the country firmly within it. Sri Lanka and Mrs Bandaranaike took a leadership role in this endeavour. Regional big power neighbours like India and Pakistan who were at each other’s throats respected Sri Lanka’s nonaligned status, as did China, at the centre of some conflicts between India and Pakistan. JR Jayewardene’s vision was to free our markets and to encourage foreign investments in order to take the country to the increasingly globalising world. His view may have been that Sri Lanka had no future within a weakening Soviet bloc or as a nonaligned country, and that we should reach out to the West. His signature project was the Mahaveli development scheme; the largest ever such project undertaken in Sri Lanka then, and since then. R Premadasa, a leader who rose from very humble beginnings, the first such leader in post-independence Sri Lanka, recognised the need and the value of strengthening the rural base of the country as he felt development that is just and sustainable can only rise from the bottom. His Gam Udawa project was the base for his vision. Mahinda Rajapaksa’s tenure saw the ending of the 30 year war with the LTTE, and his vision was to prepare the groundwork for the country to rebuild from the setback of 30 years of war. Repairing the infrastructure of the country so badly damaged and neglected due to the war, and launching major infrastructure related projects like the Hambantota Port (originally envisaged by President Chandrika Kumaratunga), the Mattala Airport to serve the tourist hub of the South and the South East, the Port City project, power generation projects, irrigation projects, city beautification projects etc, were all essential elements to deliver on his vision. 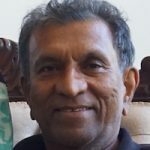 It is difficult to identify the vision that the current leadership of the last three and a half years has for Sri Lanka. There appears to be a twin engine government where the engines are at the opposite ends and placed in the opposite direction. Either the two leaders, the President and the Prime Minister, have a vision and no one knows about it or they have no vision. They may see things bit they may have no vision. Many seem to be of the opinion that there is general paralysis in the government and the country in fact is going backwards and not even standing still let along going forward. The readers of this article may be able to comment whether this is so and what they see as a vision if they indeed think there is one. The economic indicators do not support a view that the country is moving forward economically. The reverse seems to be the case as the GDP is below 3.75 (it was 7 in 2015), the stock market is at its lowest ebb, the rupee has lost value (it was 137 against the US Dollar in 2015 and now its sliding, and it is 162.2 today), foreign debt is supposed to have increased by some 80%, since 2015, although no major projects have begun with foreign investments or loans. This is despite the sale of the Hambantota Port to a Chinese company for some US $ 275 million. The country needs a vision as its present and future generations must know where it is heading. They must be able to plan their future and that of the generations to come. If the two leaders have a vision, they must clearly articulate it so that the country can see it. The world is moving towards the next industrial revolution with robotics, artificial intelligence, mechanisation of many aspects of even services such as Drone led delivery services, and agriculture revolutions like large scale hydroponic cultivations, genetic engineering and large scale mechanisations are all poised to change the world we all live in. The impact of climate change in Sri Lanka, and what we could and should do about it, our role in the emerging super power world order with China leading it, and regional powers like India behind them, our links with emerging Tiger economies like Vietnam, and how Sri Lanka adapts to some of these changes and what we should and should not embrace should guide the vision for our future. Vision is the ability to think about or plan the future with imagination and wisdom. Hopefully, the Colombo Telegraph readers will make their views known as that will give an indication of the thinking on the need for a vision from a cross section of readers and what they feel the vision should be. In a Sinhala country Sinhalese should be the first language, true. But SWRD’s vision is short-sighted. Did SWRD and MR had a deal like pinching the baby and rocking the cradle? Thanks for exonerating all those racist leaders from SWRD Bandaranaike,Sirimavo Bandaranaike, JR Jayewardene, to Mahinda Rajapaksa, having vision. I would be grateful if you could explain as to how racist Banda’s “Sinhala only language” policy benefited the entire nation positively? During his reign the largest ever and most devastating riots was organised by his men in the party and protected by state security forces. Mahaweli Ganga was first diverted by King Dasankeliya (459 AD) and not by JR yet the country has not achieved self sufficiency. His vision from the start was to kill and earn billions of dollars from the misery. Large projects brings in large commissions. That weeping widow brought misery to people, a constitution was passed without referendum, for the first time constitution was enacted with Chapter II, large scale killing took place in 1971 and war criminals were never prosecuted, people starved, country was dragged back to dark ages, … media was heavily censored, ………………………. I am sorry what sort of vision did these so called racists had and how did the country benefited from those visions? In fact the country produced more psychopaths, VP, RW, Gota, crooks and war criminals than ever before. There is something called warped vision!!! True the one we have had in the past 70 years, a vision to build a Sinhala/Buddhist ghetto in order to hit the bottom. Vision? Indeed they do. That is to reap the harvest-as the PM put it the other day. The den of thieves at Diyawanna are doing a grand job of reaping the harvest by looting the country for the past 3 1/2 years. Most writers identify Sri lanka’s probkem wrong. See what do they do with 225 politicians increasing it day by day and three levels of govts, pretty soon going to be 9000. No on say we are thieves. They help each other escape the jail. What is the democracy when we can not ask trust worthy people to the govt ? People vote and recycle the same gangs of thieves. Raj Gonsalkorale, Is that all what you have understood what a vision is? Goals and Personal Goals can’t be “vision” bro. Raj Gonsalkorale’s mission is to express that all the past leaders had vision except the present government. It may be true enough to some extent. ‘Operation successful patient died’ this is the current situation of the country. Leaders had the vision but without success. Past leaders put cart before the horse, they miserably failed to prioritize national agenda to take the country to greater heights. Our country missed the golden opportunity to industrialize Sri Lanka during the 50/60/70s in a systematic way to sustain our reserve while capitalizing on agricultural development. SWRD went after language issue which backfired resulting in three decades of war that cost us dearly. Million dollar question is who will bell the cat to put an end to the decades’long ethnic issue. Raj what you wrote before “U TURN” and this are contradicting. Facts can always be discussed in pros and cons. But the outcome is what matters. It is like an informed procedure we offer to our patients. No doctor can vouch for 100% satisfaction or risk free treatment. What we are expected is to explain as much possible the benefits and risks and let the person decide based on that information. Physicians will not recommend a medication with less than 50% benefits when there are options but may recommend a life saving procedure even with less than 50% benefits. So if you apply this simple reasoning none of those leaders will be remembered for what they achieved. But there is plenty to talk about what they did not or what they should not have done. If there is doubts please check the report card. In countries like USA/UK there are active debates and surveys taking place in judging the best presidents after completing terms. What we have in Lanka (even in these forums) is the argument of Who is the worst??? Who stole more, Who killed more??? According to some only Pirabaharan had a vision. Those who believe that doesn’t or can not see any thing any other way. True, he was also competing with your own warped Sinhala/Buddhist vision. All these leaders had vision – the problem was they were all shortsighted. They only saw the image just beyond the end of their noses, and missed the bigger picture. Sri Lanka would not be in the state it is if we had leaders blessed with a better class of politician. All our leaders have had to look over their shoulders and pander to their devious and crooked followers whose only vision was self-enrichment. We can only keep praying for time when we have a better class of politician who come forward to serve, rather than fleece, our beloved Sri Lanka. Leaders of SL with a vision? In my openion, DS had a vision of an independent SL & Dudley, as stated, perhaps had a vision of a self sufficient nation in rice production but was that enough? SWRD may have done the right thing by making Sinhala the official language for the benefit of the rural masses but failed to realise that a small country like SL would benefit enormously by the universal language of English. SL has a multi ethnic population & the common language is English, therefore, while nurturing Sinhala, he should have promoted English for the benefit of everybody. Therefore, to me, he is a selfish hypocrite (I believe he was not so fluent in SInhala himself but changed his religion & western garb to please the masses) & maybe, even border line racist. As for his wife who won on the sympathy vote, had no vision & was a puppet in the hands of self serving politicians like Felix Dias. She went to bed with Socialists to form a govt. & SL went backwards with her closed economy policies. Her vision (if at all) of a strong non aligned nation (yet sucking up to the Chinese) was doomed from the start with a bunch of terrorist supporters & dictators (Gadafi, Idi Amin, Mugabe, the PLO, etc) in the bandwagon. Thankfully, JR, who had his faults, had the vision of a free economy & reversed the trend but while visionary politicians like Athlathmudali & Gamini Dissanayaka were there to support him, there were others like Wijepala Mendis, with typical ‘mudalali’ menatality, ruined the transport system, letting out the private bus genie from the bottle. Premadasa’s vision was also flawed & in the short term. Nothing of his vision has benefited the country in the long term. His successor, DB Wijethunga, was a lost cause & CBK too, despite the hype, did nothing, apart from making some money on the side. MR, maybe, had a vision of bringing SL to the 21st century with the infrastructure in place but it was more to do with lining his own pocket than a vision of true prosperity & hocked the country to the Chinese. As for Sirisena, a pathetic President, muddling through with no vision at all but trying to emulate the Rajapakses in making money for him self & his family. So when it comes to leaders with a vision, we are still waiting but nobody seem to be in sight.